There was record attendance this Sunday with a total of 6 Dan grades and 31 members training. Our numbers were bolstered by members from York and Haxby training at Barlby in preparation for the competition in May. All karateka even beginners that have not graded yet will be encouraged to take part in what will be a brilliant afternoon on Sunday 2nd May. Can I ask that you return your entry forms this week to enable me to conclude the planning phase and order all the cups and medals. Haxby and York clubs are keen to relieve us of as much silverware as possible, so we must keep our training up. We will still be training on Easter Sunday so don't eat too many Easter Eggs during the day and you can always get an extra session in on a Wednesday to increase your chances of walking away with a medal or trophy. David wasn't at Hambleton training this week. He had sneaked off (with permission) to York Karate club. Sensei Keith was grading a couple of Karateka from Haxby and David joined them to grade to 7th Kyu. Sensei phoned me last night and informed me that David had performed very well, praise indeed! Many thanks to Darren Wothers from HT Scaffolding for providing SSKC with support as our final trophy and Medal sponsor for the SSKC IJKA Karate Championships scheduled for May 2010. HT Scaffolding Systems Ltd was originally founded in 1986; and is now known throughout the UK as one of the largest privately owned independent scaffolding companies. The Company has dramatically evolved during the last 10 years of trading, increasing not only it's stock at hand but also more importantly an increasing client base, situated throughout the whole of the country. H.T's main geographical areas of activity are the M62 corridor, Midlands, Teeside, Northwest and Wales. These areas are supported by our two main depots situated in Leeds and Manchester with various satellite offices around the country. Click on the yellow button below to return to the "HOME" page or to access HT Scaffoldings website. 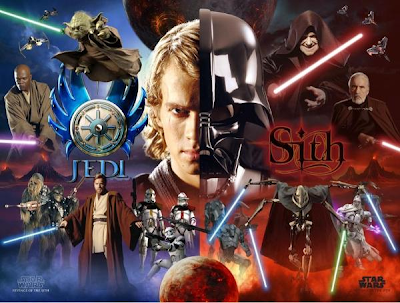 Was "The Force" with me? This weekend I travelled back down south for the Army Martial Arts Competition. I spent my teenage years and early twenties in the area and have both family and friends very local. I stayed with Michael, who was my best man at my wedding , his partner Suasan and their two young children James and Owen. After a meal, a game of cards, a couple of lagers and a bottle of wine (all essential pre- competition preparation). Susan said that they had prepared the spare room and the boys and her had decided that I should have the "Stars Wars" quilt cover and hopefully the force would be with me the following day. My inspiration to compete is to improve my own personal performance. It is nice to win a trophy or medal now and again, but for me if I have pushed myself and performed well, that is enough. As a 48 year old part time solider, I was putting myself up against younger, fitter and more experienced karateka, I was the oldest karateka there by quite a few years. It is good to put yourself out of your comfort zone now and again to improve your own karate. In Kata I performed Hangetsu in the first round and made it through to the second round. For my second kata I performed Kanku Sho, I manged to get to the end of both kata without suffering from the "frozen kata syndrome" that normally plagues me. I scored probably just under half way down the rankings, well out of the medals but had performed better than I have ever done before. The Kumite was fought in two Pools of 4 on a round robin, the top 2 from each pool going into a fight off. The other three dan grades in my pool were all members of the Army Karate team and two of them also compete for England. I was very, very pleased , to loose 2 and win 1. I had a long drive North to Bradford to take part in the City's 10k. The troop from Bradford had decided to raise some monies for charity by each of us carrying an additional 20Kg as we went round. We were paced round by our PTI at a forced march to complete the 10 k in 1hour and 31 minutes, very close to the back markers who were getting worried that we were catching them. Thank you Susan, I think the force might have been with me after all. Perhaps I can make a booking for the Star Wars suite for next year as well? Bex and I travelled North to the hombu dojo of JKS Scotland to train with Masao Kagawa Sensei 8th Dan JKS World technical director and JKF National coach. Many thanks to Sensei Paul & JKS Scotland for hosting the event and all the hard work that goes on behind the scenes. Are we mad travelling 800Km for 1 & 3/4 hour training session? I can't remember where I read it now, it may have been Bertel Sensei that stated if your Sensei is not training harder (wiser/longer) than yourself you may want to review who your Sensei should be. This was a direct reference to Asai Shihan, but as my own karate develops I think it is important that I don't stand still, but progress as fast as my aging frame will allow. The training - brillant! The 3 K's. Kihon - Gyaku Zuki & Geri, Kumite - stance changing, attack and counter drills & Kata - Meikyo Nidan. M2 is one of my favourite Kata and I even managed to sneak peak at Kagawa Sensei running Sensei Scott through M3. This helped to reinforce a kata that I am still working on. As the Kyu class finished we bumped into Mia, who used to train at York before moving to Scotland. It was lovely to see her again, still training hard. Sensei Keith can be very proud of his Ex student, he gave her very strong foundations that have been recognised in the JKS. I ended up being partnered with one of Mia's Sempai for most of the session and we did have a a bit of a chance to discuss her progress. We were staying a little further North and the evening finished with a meal with Kagawa Sensei just round the corner from our Hotel. Bex and I also got a chance for a few words with Sensei Scott after our meal, hopefully he will be back in Yorkshire some time soon? I genuinely thought after my grading I would take it easy for a while, no chance. I have been more motivated than ever to push myself on in my journey of Karate-do inspired by Shihan and Sensei from many varied organisations, my only focus, quality shotokan karate. The aim of the championships is to teach our students about and provide our higher grades with experience in running competitions, so they can officiate in Open championships. Selby and York dojo to make the event a success. There will be up to thirteen events with Cups and medals for each event. Registration 13.00hrs, Championships start 13.30 hrs prompt! With the assistance of our sponsors we have set a nominal fee of £5.00 for each karateka, this covers entry into all events that your Sensei will select you for. Your fee must be paid to you club by 9th April when entries will close, there will be no entries on the day. The Events will be run on two adjacent areas to the semi finals. The Over 16 and finals of the junior events will be undertaken on a central area. The event will conclude with cup and medal presentations and an IJKA Yorkshire 2010 photograph. All karateka will be expected to stay to the end of the event to support your club. The event will conclude at approx 17.30 hrs. It was a long weekend for Rebecca and myself, a mix of family and karate. We were visiting Sensei Paul Herbert's dojo at Dartford to train with Hazard Shihan, I had not managed to train there since 2006, but as always there was a warm welcome. Herbert Sensei and Hazard Shihan were both Kohai of the late Enoeda Shihan. Dave Hazard's first karate session was in 1969 when he walked into Blackfriars dojo, the class was being taught by Enoeda Sensei and he was assisted by Kato Sensei. To learn more of their introduction I suggest you read Dave Hazard's book "Born fighter". The session was a mix of the three K's, but all required zanshin. We worked on breathing, the correct course of the block to ensure they are effective. Kumite combinations and a short but great session on Jion, both kata for grading and kata with attitude that "would do the business". 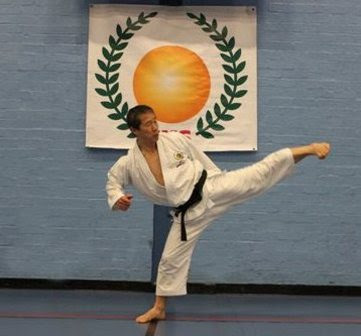 I related this to Paul Herbert interview in this months Shotokan magazine where he talks about "allowing training to become a little edgy and ugly" (another good read). After training we travelled to my brothers on the Surrey / Hampshire board for another family evening including some food and wine. This morning we were up early to travel to Dr Jonathan's dojo in Buckinghamshire to train with Kato Shihan. Guess what the 3 K's again. With a hall 3/4 full of dan grades, Sensei focus was correct Kihon. Sensei has a way to break down a technique and building it up again to deepen the understanding of the class. The session finished with Kata Mekiyo Sandan. I was pleased because I missed out a couple of Weeks ago when Sensei was at our dojo, I was assisting Gullen Shihan with gradings. I think we had managed to drive 300km south , circumnavigate the whole of the M25 around London, before heading off North back to Yorkshire. We drove straight to the Barlby dojo arriving with 20 minutes to spare before tonights training session. In the last 10 minutes of training tonight we even got the chance to run through Meikyo Sandan another few times. Many thanks to Herbert and Lyons Sensei for hosting Hazard and Kato Shiahan "Sensei-Ne-Rei! "and for the opportunity to train in budo forms of Shotokan Karate, "Shihan-Ne-Rei, Osu!" A big welcome to William, Michael & Joseph, we hope you enjoyed your first session of Shotokan karate last night. It is always a little strange starting a new activity when you don't know anyone. Hopefully you found us a friendly lot. Looking forward to seeing you all next week.